Organizers from Boston's Olympic bid have proposed a 60,000 seat venue in South Boston's Widett Circle. 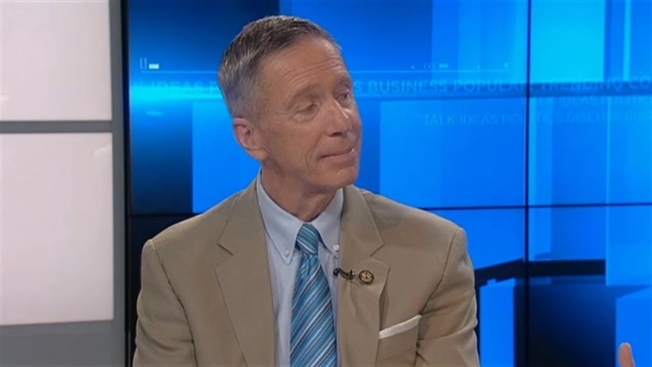 Congressman Stephen Lynch, who represents the district, isn't having any of it. "I really think it's a bad idea," he told host Sue O'Connell on Broadside. "I think we can come up with a better solution." Rep. Lynch questioned why organizers would want to build such a large venue only to remove it later when Suffolk Downs, where horse racing has recently ended, would appear to be a better option. Additionally, the congressman argues that the Confederate flag flying outside of the South Carolina state capitol, which has been widely criticized after a white man gunned down nine black people in a church in Charleston, needs to go. "Thirty percent of the population of South Carolina's African-American. And because of the history, you cannot view that flag without seeing it as a symbol of oppression, a symbol of slavery," he said. "The big question is, why has it taken them this long? Why has it taken this long to remove that symbol?"